Guitarist Kenny Burrell alongside Grant Green became Blue Note’s stable guitar man. 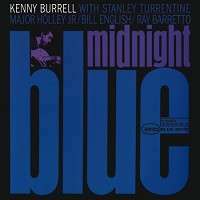 ‘Midnight Blue’ recorded on January 7 1963 is arguably Burrell’s finest work. His playing is relaxed and fluid and the Latin backdrop provided by percussionist Ray Barretto give the album a Bossa feel. Add the soulfulness of Stanley Turrentine’s meaty tenor sax and you have an album that is a complete delight. 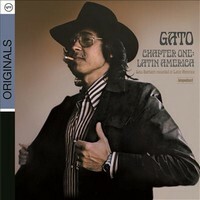 The material is sublime as tracks like ‘Chitlins Con Carne’ and ‘Wavy Gravy’ are ample proof. ‘Soul Lament’ is brooding and soulful. Six of the seven tracks are composed are co-composed by Kenny Burrell including the finale ‘Saturday Night Blues’ which is a slow simmering blues whose spirit is captured by both Burrell and Turrentine. ‘Midnight Blue’ is a quintessential Blue Note date, whose subtle appeal stretches beyond fans of the iconic label.